He loved it, but mostly just wanted to eat the candy. It’s Halloween and mischief is in the air! 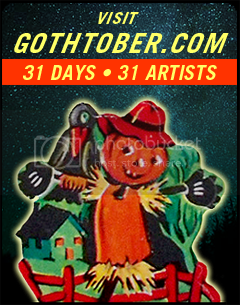 Collect as much candy as you can and return home before your house is trashed by marauding tricksters! One of the great things about this game is that if you lose game pieces, no worries. Just head to the snack bar and purchase some more jelly beans. 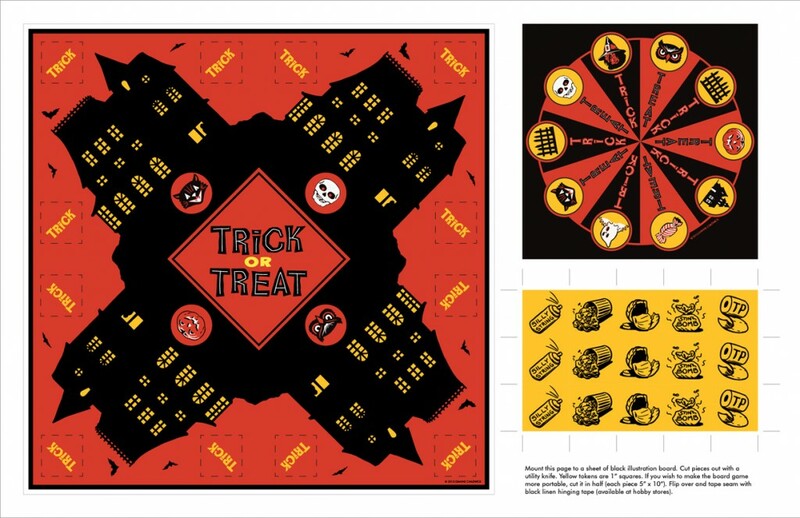 Dianne hasn’t played this game with four people yet, so if you want to give feedback or tell us how you did playing “Trick or Treat” with four or more players, let us know. You should be able to extend game play by acquiring more candy. “Trick or Treat” can be played at the park, at recess, during your lunch hour, on the train, practically anywhere, it’s made for travel. We’ll be playing the game at CraftNight (at Akbar) this week, thanks Dianne for giving us this very clever and beautifully designed diversion for the Halloween holiday!